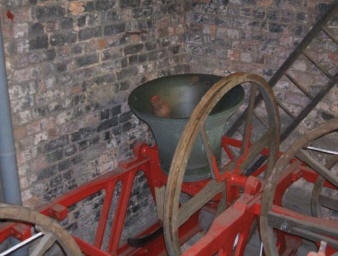 History of the Bells at Holy Trinity. 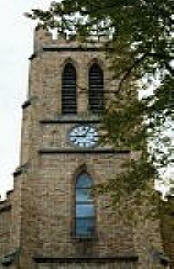 Shortly after the building of the church in 1842, the Governors of the Free Grammar School of King Edward VI in Stourbridge offered to lend the parish a bell formally used in the school. 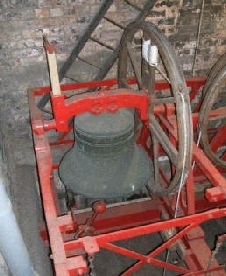 This offer was accepted by the Vicar and Churchwardens, and the bell hung in the tower until 1859, when a dispute arose with the Governors concerning the bell and the parish was obliged to return it. 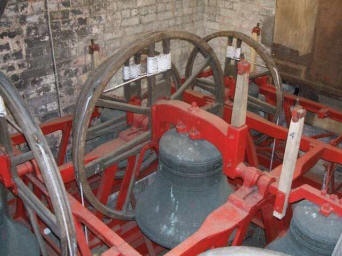 In the same year the question of installing a ring of eight bells was considered, nothing came of this but a single bell weighing about 11 cwt. 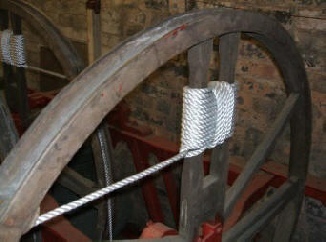 was purchased from Charles and George Mears of the Whitechapel Bellfoundry, London. 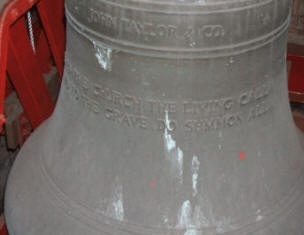 This bell bore the inscription:- C. & G. Mears, Founders, London. 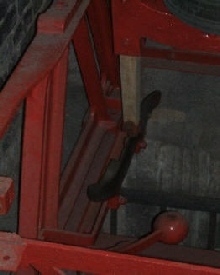 Spes tutissima in coelis. John William Grier, Incumbent, Charles William Firmstone, William England,Churchwardens, 1859. 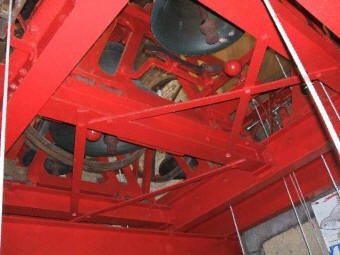 The bell gave service until early in 1966 when it was removed from the tower in readiness for the installation of a new ring of eight bells given to the church under the terms of the will of the late Miss Agnes Egan of Wollaston.